Country Living! 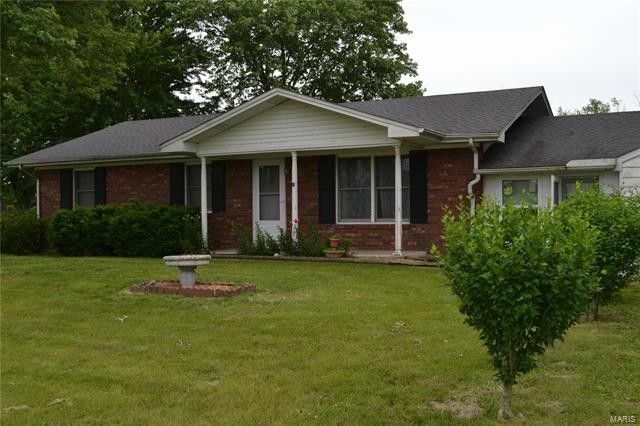 Brick Ranch with fenced backyard, attached garage, full basement located not far from Sparta, IL. Plenty of space for the outdoor enthusiast or a bona fide homemaker, this property offers something for all. Large open kitchen with pantry, dishwasher, refrigerator, stove, plentiful countertops, and separate dining facilitating large sit down meals. The over sized living room has great natural light. 3 Bedrooms on the main floor include a master bedroom suite with an additional full bath in this central hallway design. An additional 9 x 26 breezeway could easily be converted to additional living space finishing. The large covered deck is a great place to enjoy the wildlife in the evenings, while your animals stay safe in the fenced yard. Garage has additional workshop area. This property has a lot of potential!